RedLink has been fortunate to work with the International Network for the Availability of Scientific Publications (INASP) to bring RedLink Network and our Library Dashboard tool to the Zimbabwe University Librarians Consortium (ZULC) as a first step in a developing partnership. INASP Associate, Ann Okerson, was instrumental in setting up this partnership, and we took the opportunity for a Q&A with Ann. Ann – many people are familiar with your work with the Center for Research Libraries, and know you from your role with the Liblicense-l listserv, but may not know about the path that brought you here. Can you talk a bit about your career path, and key events or issues that led you to make some of the choices you have? I started out as an “old school” serials librarian — printed journals, newspapers, continuing publications, all of them checked in manually in kardex and later via computer file. Being immersed in the serials world for some years probably shapes much of what I’ve thought and done professionally ever since. I left libraries for a few years to work for a NY book dealer who sold to libraries worldwide – helping them in the late 80s to fill gaps in their collections with runs of journals, specialized subject collections from scholars, estates, libraries that were closing down — that sort of thing. Then in the early 1990s, through my consulting report on the “serials crisis” I lucked into policy work at the Association for Research Libraries (ARL) in Washington, DC, at the very moment when the Internet and electronic journals became a possibility. While there, we published the first directories – in print – of online journals (when I began identifying such newcomers, there were exactly nine!). That role in turn led to an associate director (collections) position at Yale, at just the point when we all began doing serious licensing and then forming consortia for licensing. After leaving Yale, I broadened my interest in international activity particularly and have done a lot of work with libraries and with their efforts to support researchers in developing countries to master the art of using digital resources. And suddenly it’s today! Much of your work, with the International Federation of Library Associations, with ICOLC, and with INASP, gives you a global perspective on the academic library space. Are there assumptions that US librarians might make about the role of librarians in other places that you would caution them about? Do you see any significant regional differences? American libraries are all worried about having adequate resources – and from an international perspective, they are all rich beyond the dreams of Croesus. 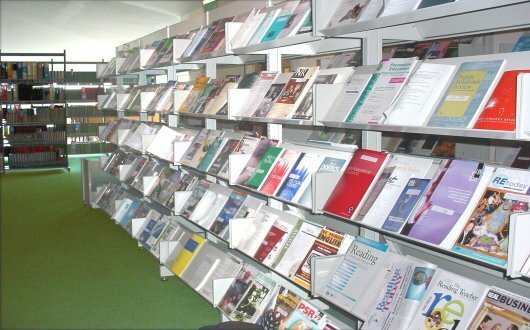 At the same time, American libraries are also diverse, independent, creative – we have dozens and dozens of consortia in this country — and so suffer from not being able to act towards, for example, aggressive national licensing, from not being able fully to benefit from real cooperation and coordination on an appropriate scale. We invent instead many organizations (like HathiTrust, DuraSpace, DPN, etc. ), and we have commercial partners like OCLC to organize some of our work at scale. There’s a fair amount of overlap in the varied projects and enterprises we create, so I’m of two minds whether our diversity is entirely a plus. An assumption that some US librarians might make is that librarians in emerging nations are less well informed or educated than western professionals. Over and over, in training sessions and conference encounters, I’ve been in awe of the smarts and commitment of librarians in countries in the “global South.” For example, I recall teaching a licensing workshop to the Bangladeshi consortia and observing in the role-playing and Q&A that I wouldn’t wish to be a publisher negotiating with individuals so astute, prepared, and committed! Earlier this year in a workshop in Nairobi, I sat at meals with librarians who fluently spoke at least three languages: English, Swahili, and their local tongue (Africa has hundreds of languages). Do not underestimate these colleagues: we have much to learn from their passion and skills. At INASP, in particular, you have had the opportunity to work with libraries in developing nations – what are some of the unique challenges these libraries face? Oh, the issues go all the way from poverty, reliable drinking water, literacy … down to having reliable mains power and consistent Internet access. The basic needs can be so heavily impacted by natural events (I think of our Nepal workshop before the great earthquake of 2015 – so much time had to be devoted to recovery that regular work took a back seat for a while) or political developments (I think of Syria since 2011 and worry about the wonderful librarians and booksellers we met in that country in 2004 and 2005). Budgets are tiny; happily, many publishers appreciate and understand this, and, through programs such as INASP or Research for Life, they provide their offerings to such countries for free or with deep, deep discounts. Nonetheless, my experiences continue to persuade me that we have a global mission that transcends cultural and political differences. And let’s flip the question – any (near) universal issues for libraries regardless of geography? Remember Mickey Mouse in the film Fantasia and the onrushing brooms and buckets? That’s us: there’s an endless supply of material for us to master and organize and serve up to our users. We’re a lot more deft than Mickey was, and we’ve all done marvels in the last generation. Our scholars and scientists are privileged as never before – the new challenges keep on multiplying! Librarians in emerging countries are as concerned with open access, article processing charges, discovery, usage, information literacy, and particularly supporting education and research as westerners are. How would you say the role of consortia has evolved in recent years? Many of today’s most visible consortia began in the late 1980s and early 1990s by doing e-licensing and procurement for traditional resources, especially journals (though some, such as CRL, existed long before). Now consortia are moving into non-journal spaces, ebooks, data sets, newspapers — and more and more consortia are encompassing a wider range of libraries beyond just the academic, i.e., including state libraries, community colleges, and schools. The need for intelligent collaboration is greater than ever, with emphasis on delivering value and return on investment and on aligning with the goals of participating institutions. At our recent ICOLC meeting in April, we spoke with a few vendors, but the ICOLC famous “vendor grilles” are mostly a thing of the past. Topics of focus were, for example, Open Educational Resources, the evolution of open access and pricing offsets, ROI, marketing consortia and their offerings, managing our work for maximum effectiveness, collaborative work initiatives across consortia, maximizing usage, building consortial tools. There was more! Your work with the Center for Research Libraries focuses on Electronic Strategies. What are some of the key issues facing libraries around strategies for electronic resources at this point? Well, CRL is unique in intentionally mining seams that other consortia aren’t working. It’s always been a national resource for items that don’t always fit in the high-demand collecting profiles of even the largest libraries: for example, archival sources, newspapers, government information, data, area studies, i.e., formats or content where standards and best practices may not be as mature, and thus it’s harder to have discussions with digital stakeholders. That’s what makes it challenging (and fun) to work in such spaces. CRL’s e-focus doesn’t much overlap with what other consortia are doing — no big deal journal licenses, for example! Long-term digital preservation is a key area for CRL, and where we address this matter with publishers, we’re often going someplace that libraries in our collecting areas have seldom thought of going — and where it takes a lot of time and patience to bring people along to a place where a good result is possible. One of CRL’s keen areas of interest is in long-form and quality news sources; yet current news publishers are more focused on individual subscribers and hardly regard libraries as key markets; long-term access responsibilities are not near the top of most of their priorities. We’ve had some success with licensing current news, but business models are challenging, and usage data is a tough nut to crack there and a low priority for these publishers. A parallel challenge is that libraries often regard current news access as something that our patrons do, so we leave it to them. That’s a mistake. The Liblicense-l listserv tends to cover a lot of ground – are there particular conversations that were sparked there that you would point to as having a more lasting impact? Liblicense-L is now 20 years old (January 1997), and what’s remarkable is not the headlines or the breakthroughs, but the way we’ve been able to keep together and expand a diverse readership and contributorship from across the academic, library, and publisher communities. This lets us air a more balanced set of thoughts about issues that arise, and we’ve evolved a kind of community of practice and discussion, with frustration and expostulation often enough, but also real respect and a lot of thoughtful, articulate representation of different points of view. If I had one wish for Liblicense-l, it would be that more of the people on the list in the publishing community would feel more comfortable speaking up for their perspectives. Still, we are delighted to have subscribers from all seven continents, including Antarctica! We started by being a forum where librarians could bring comments and questions about e-resources licensing, back when there were few best practices and a lot of anxiety on all sides. Some of those topics occasionally arise, but now the mailgroup operates more broadly in the scholarly communications realm, picking up on new developments and discussing them as members wish to. I can’t say there are particular conversations — different people would choose different ones. Around 10 years ago, I tried to compile in book format a “Best of liblicense-l” collection, and gave up after many months: the discussions were so diverse and it was impossible to choose! You worked with us at RedLink to bring about an agreement with INASP to provide access to our Library Dashboard usage analytics tools to the Zimbabwe University Library Consortium (ZULC). What solutions do you hope ZULC will be able to accomplish, using the Dashboard? ZULC is one of the seven emerging nations consortia that INASP is “graduating” by March 2018, to the extent that, while they will remain partners in various initiatives and projects, they will become more and more self-reliant with respect to negotiating, licensing, and accessing electronic information resources. ZULC was chosen to pilot RedLink because of their increasing sophistication and because the Zimbabwean librarians are deeply interested in advancing and promoting e-resources throughout higher education institutions in their country. ZULC is making its way forward with RedLink in ways that work there — you may know more about today’s progress than I do. But throughout INASP’s various “measuring and evaluations” (M&E) courses, we have found a keen desire to improve usage — which begins with understanding just what it is and how it works — and how to facilitate it. As you probably know, these developing country consortia and their libraries are thinly staffed; generally, consortial staffing relies on part-time volunteers, who may also rotate in and out of their roles. Once the initial setup is done, RedLink can offer them a way of receiving and managing statistics in a straightforward, low-labor manner. Personally, I’m hopeful that ZULC will succeed as a RedLink pilot and will thus serve as an example for other developing consortia — and this will be one of the key tools that can lead to full exploitation of the excellent e-resources that are increasingly available to them, thus facilitating teaching and research – and advancing well-being. That’s what our work is all about, right? Thank you for making this ZULC pilot possible!